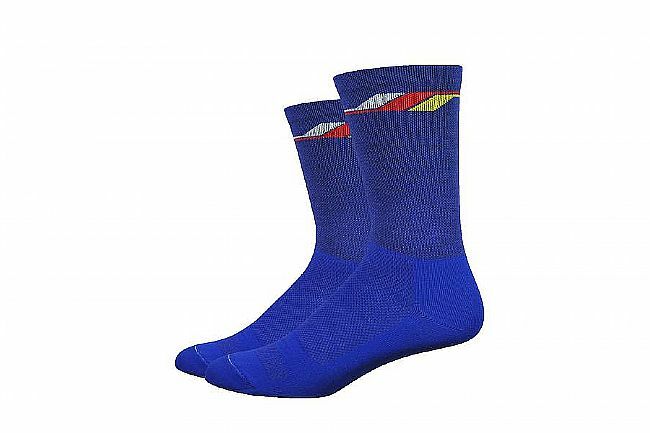 DeFeet's Wooleater Comp 6" Sock are knit with a soft Wool/Poly blend yarn composition that's light and thin yet durable. They are non-padded for all-season use. Wool's natural quick-drying and odor-fighting properties keep feet dry and smell-free. Materials: 36% Nylon, 31% Merino Wool, 31% Recycled Polyester, 2% Lycra.